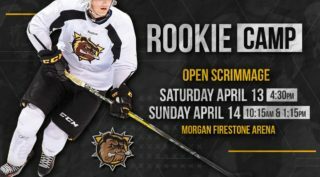 Rookie defenceman Michael Renwick‘s first career OHL goal came 2:11 into the second period on Sunday as the Hamilton Bulldogs dropped a 5-3 decision in Kingston. Renwick beat screened Frontenacs goaltender Ryan Dugas with a hard blast from the point as Zach Jackson and Liam Stevens picked up assists. The 5-foot-11, 170Ib. 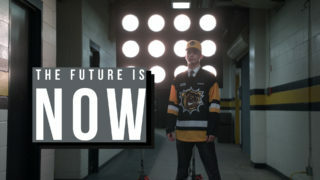 16-year-old defender from Mississauga, Ont. 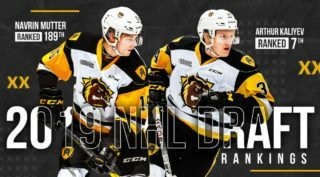 was Hamilton’s second round (34th overall) pick in the 2018 OHL Priority Selection from the Mississauga Reps Minor Midgets. Renwick has three points (1-2–3) over 18 games this season. 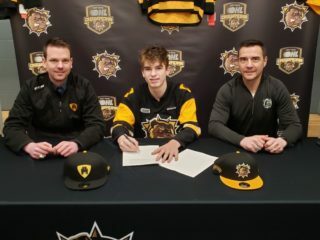 He recently suited up for Team Canada White at the 2018 World Under-17 Hockey Challenge in Saint John and Quispamsis, New Brunswick.